Long Island tennis players have great choices when it comes to where to play tennis. Below is a list of Long Island Tennis Magazine’s top clubs and programs with descriptions of what each has to offer. Bethpage Park Tennis Center is located just a few hundred feet from the Black Course at beautiful Bethpage State Park. Four indoor hard courts and four indoor red clay courts are air-conditioned for year-round play, along with two outdoor HarTru courts. 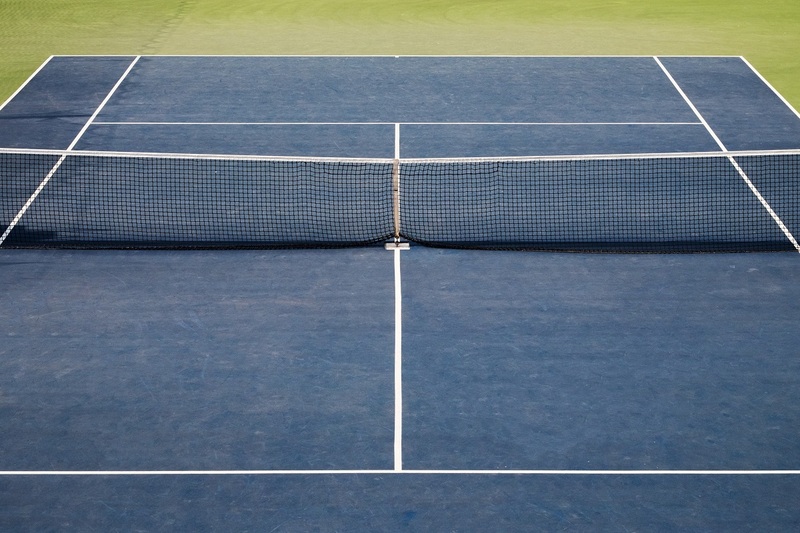 Bethpage Park Tennis Center offers an array of adult seasonal, leagues, lessons and walk-on court opportunities. It’s free and low-cost program for seniors, special populations and veterans is perhaps the largest of its kind in New York State. We are excited to have finalized part of our major renovations with newly resurfaced courts, LED lights and heating/cooling system. We are equally excited to complete our new state-of-the-art clubhouse with a Sports Performance Training Center, as well as Educational Center in the summer of 2019. The Center is best known for its renowned junior development program, led by top coach Steve Kaplan who has developed more top players than anyone else in the East. Steve is the Owner of Bethpage Park Tennis Center, and was the Director of City Parks Foundation Lacoste Academy for 10 years. Steve has been the long-time coach of more than 900 nationally-ranked junior players, 16 state high school singles champions, two NCAA Division I Singles Champions, and numerous touring professionals and prominent coaches. Steve's students have been awarded in excess of $9 million in college scholarship money. In the summer, the finest players in the East join us for summer camp on four indoor hard courts four indoor red clay courts that are air-conditioned, along with two outdoor HarTru courts and six nearby outdoor hard courts. Lunch is included and transportation is available. Bethpage Park Tennis Center charges no membership fee and values all of its beginners equally with its nationally-ranked players. 188 Maple Avenue Rockville Centre, N.Y. The Butch Seewagen Tennis Academy is proud to be the first of its kind on Long Island devoted entirely to the USTA’s Net Generation 10 & Under Tennis Program. The Academy features three state-of-the-art, Net Generation, U.S. Open blue green courts. The Academy offers professional tennis programs for group, semi-private and private lessons, plus birthday parties and special events. Directed by former U.S. National Amateur Champion and former top 70 player Butch Seewagen, the Academy uses USTA and the International Tennis Federation (ITF) Net Generation tennis guidelines. This progressive curriculum focuses on developing children’s tennis skills on a size-appropriate scale, utilizing smaller courts, low compression balls and smaller rackets. Drills and games are played with an emphasis on developing skill sets in a fun environment. 1414 Jerusalem Avenue, #1 North Merrick, N.Y.
Carefree Racquet Club is Long Island’s premier indoor tennis club, offering seven indoor tennis courts, two racquetball courts, a half-court basketball court and four pickleball courts. League Coordinator Debbie Cichon offers adult singles, doubles and team doubles leagues that are always on the correct level to insure you a good game every time you play. Carefree has many USTA teams in the 18 & Over, 40 & Over, 55 & Over Men's, Women's and Mixed Doubles Leagues, along with Tri-Level Leagues. For those new to the game or just want to improve, Carefree offers two 14-week sessions of learn and play groups, coordinated by Louis Vallejo. Players get an hour lesson each week, along with 90 minutes of practice time each week. For junior players, Ben Marks, Carefree’s Director of Tennis, coordinates the Junior Development Program with two 14-week sessions starting at the age of five, running through the age of 18. Children can take group, semi-private or private lessons, along with practice time and ladder match play as well. Ben also runs a high-school prep program and an Elite program. Carefree is very proud of its QuickStart Tot Program for children ages three- to five-years-old, which uses props to keep the children’s attention. Carefree Racquet Club is managed by Kathy Miller, who is also the Long Island USTA Adult League Coordinator. Kathy, along with her Assistant Manager, Pat McIlwee, pride themselves on the organization and smooth running of Long Island's premier indoor tennis club that has never and continues to not charge membership fees. So if you are looking to join a program or just rent a court now and then, we would love to see you at Carefree! 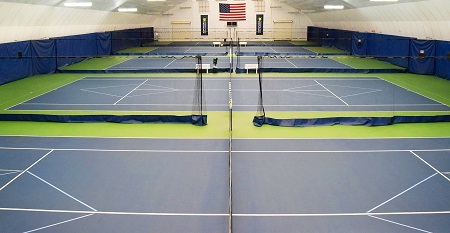 65 Columbia Road Morristown, N.J.
Centercourt Performance Tennis Academy can be summarized by one phrase: “Culture of excellence.” From its training to academics to tournament travel; the coaches, academic advisors, tutors and support staff are what make Centercourt a great training base, as well as a place to call home. Centercourt’s facilities are comprised of six New Jersey locations, with more on the way. Centercourt’s Performance Tennis home base is located in Morristown, N.J., conveniently located 45 minutes from New York City with transportation and boarding options available. 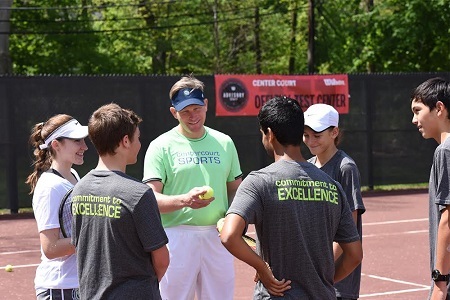 While Centercourt encourages a tennis culture of excellence, Centercourt also places a strong emphasis and focus on academics and work ethic. Since its full-time academic inception two years ago, Centercourt’s scholar-athletes have committed to play collegiate tennis at strong academic institutions such as Columbia University, Wake Forest University, New York University and more. Centercourt offers schooling through both Laurel Springs and The Dwight School, a prestigious preparatory school located in the heart of Manhattan. There is a strong sense of team and family at Centercourt that is pivotal in complimenting strong tennis training. Centercourt’s full-time athletes reside in a beautiful home setting on a 60-acre estate providing the luxury of a family environment. On the weekends when players are not competing, Centercourt makes sure they take advantage of its prime location by providing excursions to New York City shows or a night of bowling. Centercourt is truly a performance athletes’ home away from home. Visit CentercourtAcademy.com for more information on after school, weekend and full-time training. 500 Searingtown Road Roslyn, N.Y.
Christopher Morley Tennis (CMT), the premier tennis facility on the North Shore of Long Island, is conveniently located north of the Long Island Expressway in Christopher Morley Park, a beautiful 98-acre park with golf, basketball, athletic fields, swimming and more. The state-of-the-art tennis facility features five new indoor hard courts and five HarTru courts for year-round play. Christopher Morley Tennis offers court rentals, adult and junior private and group lessons, 10U after school enrichment, leagues, cardio tennis and high-performance training. Christopher Morley Tennis is known to have one of the best high performance and home-schooling junior programs on Long Island with CMT’s top nationally-ranked juniors, Cannon Kingsley (18’s #5), Neel Rajesh (18’s #13) Spencer Brachman (16’s #10) and Rachel Arbitman (16’s #8). In addition, CMT’s Red, Orange and Green Ball groups cater to junior players at all levels. CMT is proud to be the home club to more than 25 USTA teams, including Junior Team Tennis which compete in local, regional, sectional and national competition. 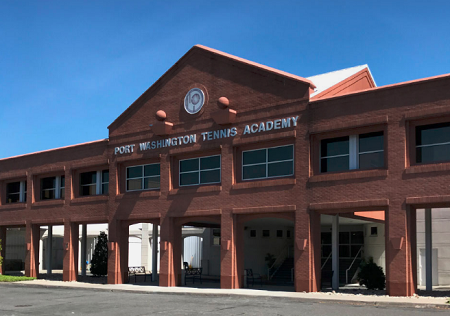 Due to exceeding demand, CMT has collaborated with Port Washington Tennis Academy to offer programming at their facility, providing access to an additional 17 courts. Throughout the year, Christopher Morley Tennis hosts mixed-doubles parties, round-robin mixers, club tournaments, special events, and holiday camps for both adults and juniors. During the summer, CMT has an intensive training camp specifically designed for players competing in USTA sectional, USTA national and ITF tournaments, and those interested in playing high school tennis, college tennis and beyond. CMT summer and school-break camps, including red, orange, green and yellow ball junior development groups, utilize fun and fast-paced training methods, competitive games, technical instruction and tactical training for match play, as well as off court training and fitness. At Christopher Morley Tennis, we strive to offer an array of recreational and competitive programming options under the direction of top-notch pro staff, with no membership fees. For more information, e-mail Info@CMTtennis.com. 195 County Road Tenafly, N.J.
CourtSense offers the best tennis facilities in Northern New Jersey and provides a comprehensive program of tennis instruction delivered by professional coaches, using the finest techniques and technologies. With CourtSense, you’ll achieve your personal best, because our training is of the highest professional caliber—and easily tailored to suit your age and skill level. Children under 10 years of age benefit immensely from a proper training foundation—eliminating poor techniques that could mar their game later in life. If you’d like yours to take up the challenge, CourtSense is the best place—we’ll make them as great as they can and want to be. 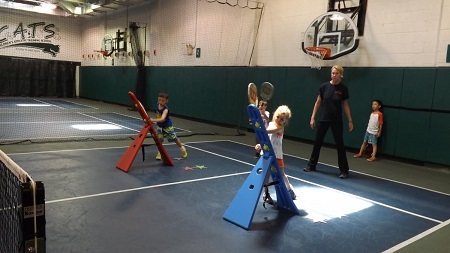 CourtSense Tennis Training Centers have a whole range of activities to support junior and adult tennis lovers. From teddy tennis and after-school clinics to high-performance full-day program, cardio tennis, internal and USTA leagues, and private and group sessions, we have something to suit everyone. CourtSense students have access to 15 indoor tennis courts (10 PlaySight smart-courts), world-class strength and conditioning centers and luxury players’ lounges. CourtSense’s club in Bogota, N.J. primarily specializes on the high-performance and tournament players. We have worked with players who have become ATP- and WTA-ranked players, U.S. Olympians, as well as many college scholarship athletes. CourtSense’s high-performance coaches, in collaboration with its fitness staff and a sports psychologist, have developed a program that maximizes athletes’ strengths, both on and off the court. CourtSense uses tennis as a vehicle to teach life lessons by tapping into the spirit of every player, with passion, expertise and character. CourtSense wants its juniors to be the best tennis players they can possibly be, but at the same time, be prepared to be successful in anything they want to be once their tennis careers are over. Another unique aspect to CourtSense’s facilities is the fitness programming provided in partnership with Magnus: Expand Human Potential. Magnus’ team has the ability to assess, correct, enhance and reassess an athlete–giving you everything you need to compete like a winner. CourtSense members have access to cutting-edge strength and conditioning technology, private sessions, nutritional counseling and psychological skills training. For more information on CourtSense programs, call (201) 569-1114 and (201) 489-1122 or e-mail Info@CourtSense.com. Registration is now open for the fall clinics at CourtSense.com. Eastern Athletic is family-owned and is one of the New York’s original and finest tennis and fitness facilities, offering a wide variety of programs for the tennis enthusiast and fitness buffs. Offering five locations throughout Suffolk County and Brooklyn to accommodate the ever changing needs of our clientele, Eastern Athletic has 17 Nova Ultra cushion indoor tennis courts, seven racquetball courts, eight squash courts, Indoor Pools and much more. To find out about all we have to offer, visit us at EasternAthleticClubs.com. Eastern Athletic Tennis offers season and open court rentals, private and group instruction for the pee-wee through he seasoned octogenarian. All programs, lessons, drills, clinics, zones, leagues, performance training, ladders, parties and camps are offered year-round in climate-controlled facilities. We host one of the largest Men’s Singles Flex Ladder/Leagues on Long Island, and are home to more than 15 USTA teams. Many of our teams have competed in regional, sectional and national competition. In addition, Eastern Athletic has one of the best performance training programs, integrating tennis with athletic performance programs. We have produced some of the top tennis players on Long Island under the direction and supervision of Laurie Tenney Fehrs and our renowned tennis staff. Eastern Athletic has programs for Juniors and Adults of all ages and level of play, and are confident we have something for you. 100 Broadway Huntington Station, N.Y.
Huntington Indoor Tennis is celebrating 38 years as the top tennis facility in the greater Huntington area! Some of our players that trained and competed with us as children, now play here as adults and bring their own children to Huntington Indoor to learn the sport. 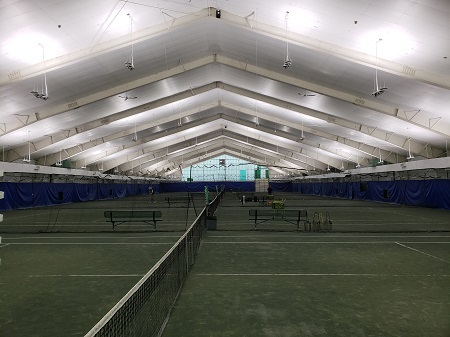 Huntington Indoor has six climate-controlled HarTru courts with new state-of-the-art LED lights. We recently refurnished our lounge area for our customers’ comfort and enjoyment. The club is conveniently located next to the Huntington train station with free onsite parking. Open to the public daily from 7:00 a.m.-11:00 p.m., and there are no membership fees. Huntington Indoor Tennis offers organized adult programs including in-house singles and doubles leagues for women and men; mixed doubles league; USTA leagues; tennis fitness programs; clinics and lessons. We include free daytime babysitting from September through May. In addition, we offer seasonal and hourly court reservations. The “Early Bird” program offers discounted play from 7:00 a.m.-9:00 a.m. year-round and senior discounts are available. Huntington Indoor tennis is proud to be the home facility of 23 USTA teams in 2018, including women’s, men’s and mixed in levels from 3.0 to 4.5 and all age groups. In 2017, our women’s 55+ 7.0 team were national champions! We have a robust program for children including junior development, junior competition, in-house leagues and USTA tournaments. There are currently 300 children enrolled in our junior programs. Our premier children’s summer camp is offered every week from late-June through August, including both full day and half day sessions. Huntington Indoor has an amazing group of pros. Most of our dedicated pros have been working here for 20+ years, coaching children and adults to improve their game and tennis skills. Contact us anytime for information or visit HuntingtonIndoorTennis.net. 12 Shore Drive Great Neck, N.Y.
A hidden gem conveniently located and open to players of all ages and levels. A short ride from anywhere in Nassau County and Queens, this scenic club overlooking the Little Neck Bay features five year-round clay courts, two outdoor season hard courts, and a highly skilled and experienced coaching staff comprised of former ATP, ITF, and NCAA players. New York Tennis at Great Neck has been serving up tennis in this location since 2010. Initially formed over 30 years ago by the late and legendary Tennis Director, Howie Arons, the junior program has produced more than 90 NCAA players, 250 ranked junior players, and 1,000 high school players. The club’s adult program prides itself in having a wide array of programming, from Dynamic Clinics and Express Tennis for Beginners, to High Energy Cardio Tennis and In-Club Competitive Leagues, ensuring adults have exactly what they're looking for. The waterfront location, accommodating staff, and friendly atmosphere has also made the club an increasingly popular destination for those looking to host events such as birthday parties, holiday parties, and corporate outings. What players enjoy most about playing at the club is the comfortable, relaxed, and welcoming environment that they feel when they walk through the doors of New York Tennis at Great Neck. Passion, consistency, and authenticity ring true every day at the club, where everyone feels at home and part of one big, but at the same time, tight-knit tennis family. 3065 New Street Oceanside, N.Y. Extreme makeover … tennis club edition! Upgrade yourself by enjoying the all new U.S. Open blue tennis courts, gleaming locker rooms, renovated lobby/office and redesigned social space of post-storm Point Set Indoor Racquet Club! A state-of-the-art, spare no expense renovation out of respect to our customers! 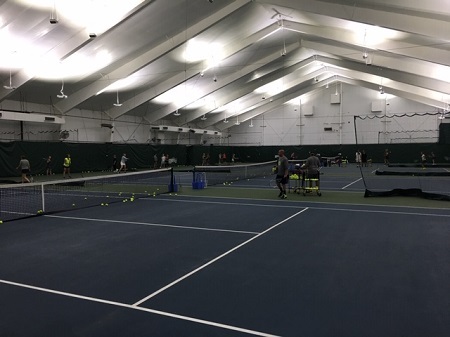 With 350-plus juniors in developmental programs, 60-plus QuickStart Pee-Wees, 500-plus adult players in leagues/contracts/drills, Point Set Racquet Club is working towards fulfilling its mission statement: Point Set aspires to be the most vibrant tennis club on the South Shore by integrating heart with sport in the community. The dedicated dream team staff of tennis professionals administers a top tier Tournament Training Program (TTP) for three levels of junior competitors. It addresses all aspects of competition: drills, match play, fitness and mental toughness. See what a difference the Point Set staff delivers as the facility has added air-conditioning for a controlled climate for play year-round! Point Set Indoor Racquet Club recognizes that customers are its most important asset. The collegial relationship of the staff, on- and off-the-court, translates into a friendly environment for its customers. Point Set is a full-service club and your gateway to challenging yourself to explore, enjoy and improve yourself through the great sport of tennis. Experience the difference a supportive environment makes! Come play at Point Set, where fun meets fitness. 100 Harbor Road Port Washington, N.Y.
20 Goodfriend Drive East Hampton, N.Y.
Ross School Tennis Academy (RSTA) is the premiere training center in the Hamptons, boasting a beautiful tennis facility that is open to the public and located on the Ross Upper School Campus in East Hampton, N.Y. The Tennis Center features six HarTru courts that are enclosed by a bubble from mid-fall through mid-spring, allowing for year-round play. The Tennis Center features state-of-the-art amenities such as spacious locker rooms, lower level lounge, convenient snack bar, and ping-pong tables, and the staff provides a fun and supportive atmosphere that allows for the greatest amount of success. After-school programming, a dynamic program for junior players, and specialized summer programs are offered to make Ross Tennis Academy the place to play tennis in the Hamptons. ►Nursery-Grade 4: Specialized one-hour training program where players build a strong foundation through a variety of game-based and cooperative activities using 10U age appropriate (Red, Orange or Green) balls and nets that will prepare them for eventual full court play. ►Grade 5-Grade 12: Players build off their 10U foundation to further develop fundamental skills and techniques as they transition into yellow balls and prepare for full-court tournament competition. Ball control, strategy, and work ethic are all emphasized in this 90-minute session of drills and point play. Players in kindergarten and higher are required to play twice per week in this program. Designed for USTA/ITF players in grades seventh through 12 and postgraduates, RSTA is the first in the New York City area to have a full academic program with a complete physical and mental conditioning program. 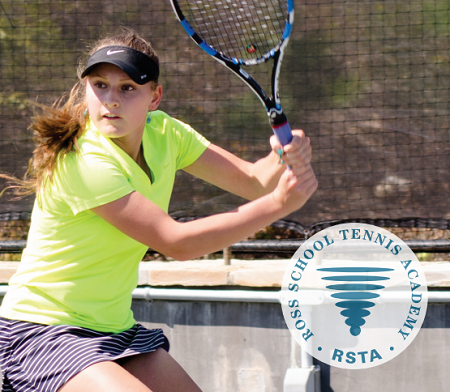 In addition, unlike other tennis academies, RSTA is a small, intimate program that allows student-athletes to develop lasting relationships with coaches, while receiving personalized instruction. Students who attend the Academy experience high-performance tennis training, while studying alongside their peers in a stimulating college preparatory learning community following a regular academic year (Ross.org/Tennis). ►Lessons and Court Rentals: Ross Tennis Academy also offers adult clinics, court rentals and private and group instruction for all ages and levels. The Tennis Center is also used for a variety of special events and is available for private parties. Sportime’s courts, programs, coaches, facilities and club environments have set the tennis standard of excellence in NY since 1994. With more than 150 hard and soft surface courts, indoors and outdoors, we offer great tennis programs and facilities for players of all ages and abilities. To find out more, go to SportimeNY.com. ►Juniors: From Tennis Whizz for preschoolers, to the Sportime U10 tennis pathway for red and orange level players, to Sportime Excel for green and yellow level juniors, to the ultimate opportunity to train with New York tennis icon Johnny Mac and the John McEnroe Tennis Academy (JMTA) team, Sportime offers a complete menu of tennis programming for every level of junior development and play. Sportime Randall’s Island is the flagship home of JMTA, with JMTA satellite locations in Syosset on Long Island, Amagansett on Long Island (summer only) and at Lake Isle, Eastchester in Lower Westchester. Our curriculums include world-class, age and level appropriate athletic training, mental toughness training, and more, reflecting our commitment to developing complete players. Sportime/JMTA’s gamification/games approach gets kids playing fast and blends technical and tactical learning and coaching from the very first lesson. Sportime students turn their weaknesses into strengths, and their strengths into winning games! ►Adults: Sportime’s Adult Tennis Kinetics is the largest adult group lesson program in the country. Major League Tennis, Cardio Tennis, and Sportime’s signature “Zone” high-intensity competitive games program all provide great workouts, combined with skills development and a lot of fun! For those looking for the ultimate challenge, Sportime offers Adult Excel, modeled after the highly successful Junior Excel and JMTA programs. Mixed-doubles parties, round-robin mixers, club tournaments, special events, and concierge-style game arranging, enhance adult play throughout the year. Flushing Meadows Corona Park Flushing, N.Y. The USTA Billie Jean King National Tennis Center, home of the U.S. Open Tennis Championships, is the largest public tennis facility in the world. It is, most certainly, a “Tennis Welcome Center.” The Tennis Center is open to the public year-round and offers exciting programming, as well as numerous events throughout the year. The professional staff of the USTA Billie Jean King National Tennis Center also conducts community tennis programs, including 10 & Under Tennis for children 10 years of age and under to learn tennis in a fun and dynamic way; USTA Junior Team Tennis for youth match play; USTA League Tennis for competitive, level-of-play competition, and an official Cardio Tennis site for on-court heart pumping fitness. Initiatives for USTA Player Development include an Invitational USTA Competition Training Center for ranked players, Player Development programs for top-ranking juniors residing in the Northeast, and a year-round USTA Tournament Training Program for ranked juniors. 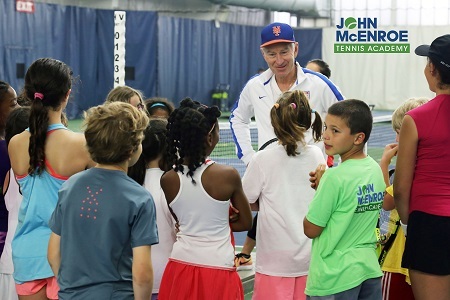 The USTA Billie Jean King National Tennis also provides for diverse community outreach programs including; the New York Junior Tennis League (NYJTL), the NYC Department of Parks and Recreation, the Queens District Attorney’s Star Track/Say Yes to Tennis, No to Violence program for Queens at-risk youth. The NTC hosts various tennis opportunities for special populations, including wheelchair tennis instruction for the physically-challenged from the months of October through July, HERO (Help Expand Recreational Opportunities) for developmentally challenged adults and tennis for autistic children through NYFAC (New York Families for Autistic Children). There is an extensive summer camp program which provides basic tennis instruction starting as young as 10 and under up through and including Academy level players. Camps include instruction and fitness programs; the encouragement of good sportsmanship leading to general character building for the children of all ages and levels. These services are provided at nominal cost, making it affordable for youngsters who would not otherwise get the chance to attend camp or receive tennis instruction. Lastly, the Project ACES (Alternative Classroom Environment for Students), implemented at the NTC in 2009, is geared towards children from schools from the New York City Metropolitan Area. This program provides students the opportunity to visit the NTC and learn about the history and the game of tennis. The kids are given a tour of the entire site, including Center Court in Ashe, a video presentation on the history of tennis and the great players of the sport, followed by an hour of on court tennis instruction.